The second most populated city in Switzerland, Geneva is the capital of the Republic and Canton of Geneva and has an economy that is majorly service-oriented. This makes it essential to pursue a management training course to have an edge over the others. KnowledgeHut is a pioneering institute that presents you with an opportunity to advance your career by enabling you to enrol into the CSD certification in Geneva. 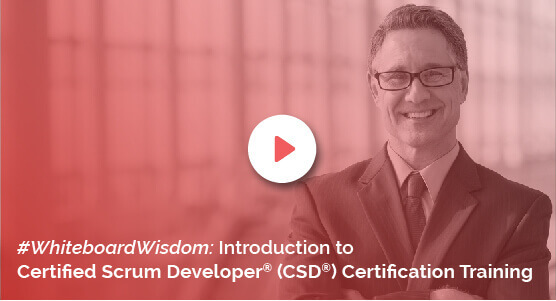 The CSD training in Geneva, which is a 5-day intensive workshop led by the most expert trainers of the academy, will begin with an introduction to the CSD course in Geneva, including the basics of scrum roles, artifacts and ceremonies. The second day of the coaching will constitute discussions and exercises on CSD electives and various aspects which will be explained through exemplification. The third day will focus on technical practice sessions that will give you a hands-on experience of the certified scrum developer training in Geneva. On the fifth day, you will first be given lectures on continuous integration of CSD training in Geneva followed by a demo and an overall recap. Register yourself in this cost-effective certified scrum developer certification in Geneva by KnowledgeHut and avail the numerous benefits. The nominal course fee includes the Scrum Alliance Certification Examination Fee as well as Scrum Alliance approved course materials. This certified scrum developer training in Geneva is like no other in terms of perks which include free membership with the Scrum Alliance and free access to our Agile and Scrum e-learning programme. KnowledgeHut brings an innovative classroom-online training delivered through tutors who excel in their fields and you will not be disappointed with this Certified Scrum Developer certification in Geneva.